This ancient hobby contemplated by much of humanity continues to be very popular. For example, there are close to 10,000 Reddit users who subscribe to a precognition discussion group. I have expertise in precognitive dreaming and I wrote everything I currently know in a book called The Oneironauts, which means “dream travelers” and is pronounced oh-NEAR-oh-nauts. LEFT: In 1995 I sketched the discovery images of Fomalhaut’s dust belt based on a memory of a dream. MIDDLE/RIGHT: I received the Hubble Space Telescope data in 2003 and published it in the journal Nature in 2004. This was the first time that a dusty comet belt was observed to have an offset from circular symmetry around the host star. The theory behind this phenomenon was proposed in 1999 by my close colleague Professor Mark Wyatt (Cambridge University). 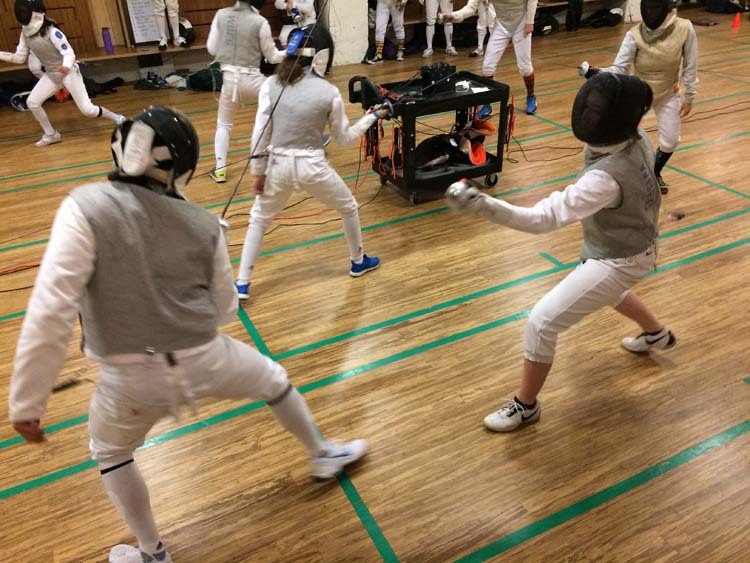 This is my newest hobby, starting from scratch in late 2016, and now fencing regularly at the West Berkeley Fencing Club. This is a superb sport that is very safe, an excellent workout, and technically challenging. Plus you learn a bit of French as you go along. En garde! Here is a friendly bout at our club’s holiday party in 2017. I’m in the left foreground. 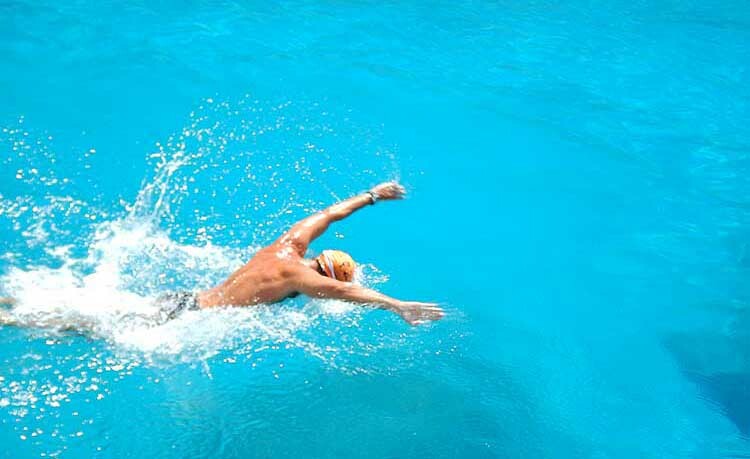 I swim 2-3 times a week at the Soda Aquatic Center in Moraga and enjoy open-water swimming over the summer. 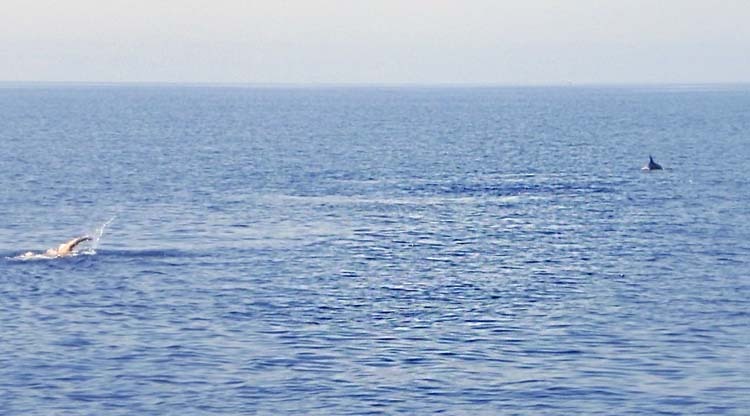 Off the coast of Sardinia, the dolphins are clearly teasing me by swimming slowly (for them) and always out of reach. Using a GPS in a waterproof pouch, I practice marine navigation using distal landmarks, the Sun, and idiothetic cues. Here the shortest course (a straight line) to cross this bay in Crete is 475 meters. The starting point is at the upper right. Swimming to the lower left my path (top line) measures 490 meters. Pretty good! However, on the return leg (bottom line) the path is 500 meters. The lesson learned is that when swimming into the prevailing weather (coming from open sea on the right) I over-compensated on my bearing. It was the correct decision to swim into the oncoming waves, but these were not as strong as I perceived and I travelled in a windward arc that wasted 25 meters. 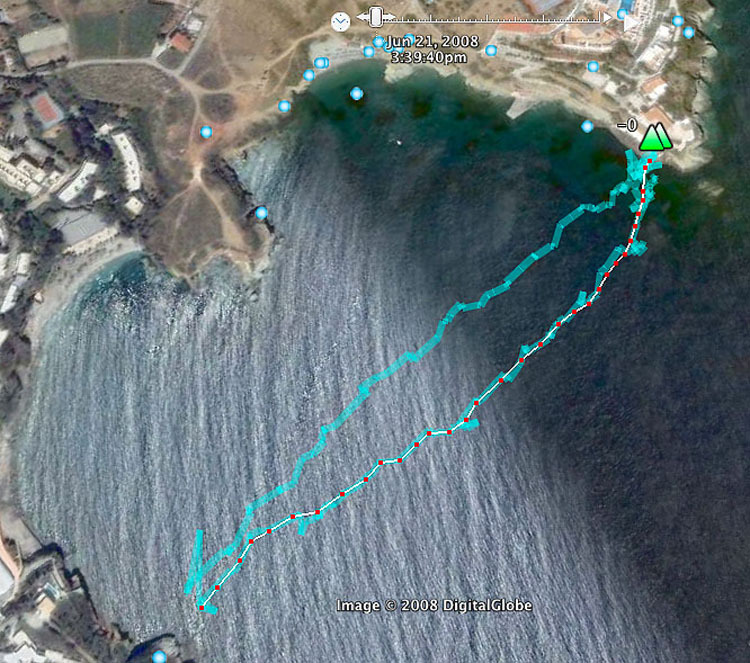 This five percent error on a five kilometer swim would add a whopping 250 meters or 3.5 minutes to a course. Some open water conditions are just like a swimming pool. Here is a shot from 2018 where it looks like I’m training in a pool, but these are the fantastic waters along the coast of the Greek island called Zakynthos. For open-water fly I count 25 strokes, rest 45 seconds (notice the dive watch on my left hand), then repeat for a total of 10 reps, which is approximately 500 meters. Everyone seems to be kiteboarding nowadays, and I’ve taken lessons, but I guess I’m sticking to windsurfing. It’s more of a hassle, I admit it, I’ve even broken my ribs, twice, but windsurfing has moments when the board and the sail, the wave and the wind, are all channeled by the person into a magical kinetic harmony, without even thinking. Or, if the wind goes nuclear, just go as fast and as high as possible until something breaks. 1996 at Diamond Head, Oahu (left) and 2016 at Kouremenos, Crete (right). 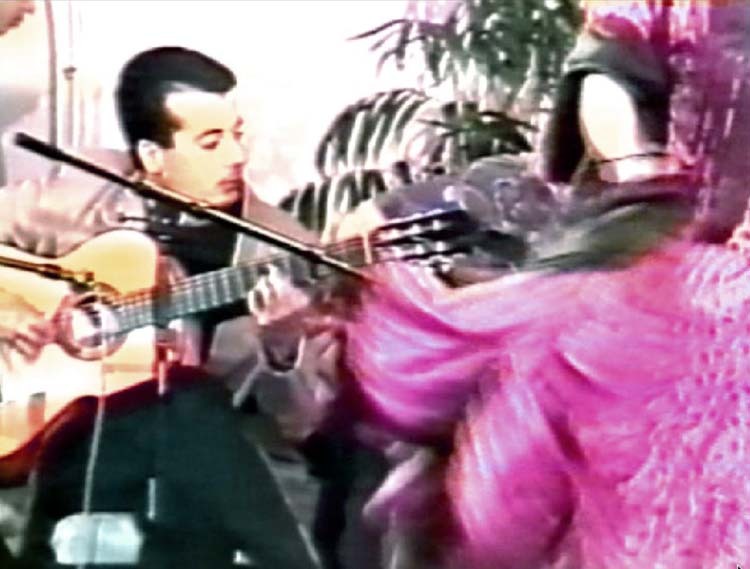 I’ve been studying classical and flamenco guitar since college, and have performance experience in both flamenco guitar and dance. 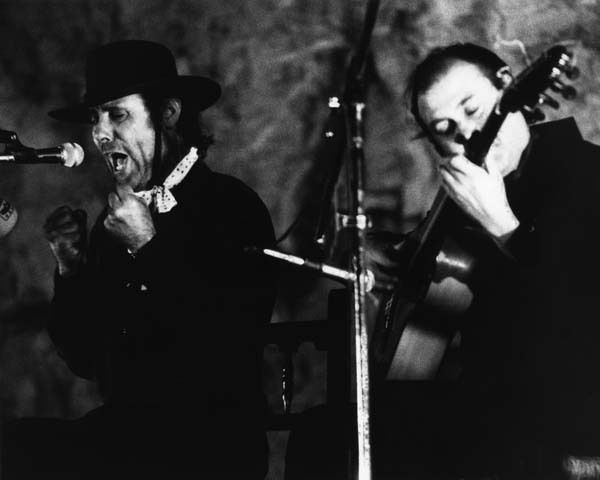 Because flamenco is improvisational, playing for a dancer can be a pure thrill as both guitarist and dancer spontaneously and instantaneously connect their emerging creative energy into a unique performance. Screenshot from a Spanish language cable show (ahem, that young guy is me). I performed with Mosaico Espanol in the 1990’s at events on Oahu and Maui. 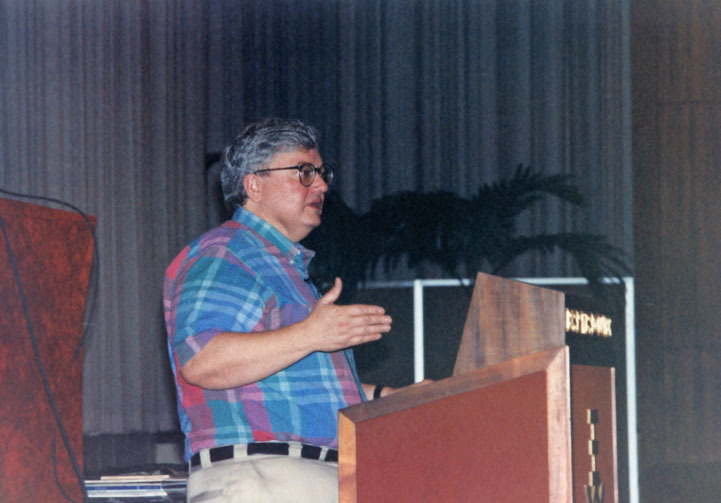 I participated in several workshops by the late film critic Roger Ebert. We would go scene-by-scene through various films, analyzing the large variety of elements that convey meaning on screen. I enjoy slow running in mindless circles around this rubberized track for 10 kilometers or 60 minutes, twice a week. Running on such tracks minimizes the risk of injury, and at the same time allows the mind to relax and wander, which serves to consolidate memories and evoke novel problem-solving. The breakthrough ideas period usually starts 20 minutes into the run because mind-wandering is enabled when: 1. novelty in the immediate environment has subsided from attention, 2. increasing physical exertion triggers a natural defense response of separating the mind from the present and from the body, and 3. motion through space activates hippocampal place cells and entorhinal grid cells which are associated with the basic architecture of memory and semantic knowledge. The human hamster wheel. I also carry an iPhone during human hamster running for music and for dictating notes as new ideas come to mind. The only danger is an abnormal craving for corn and sunflower seeds. I almost forgot to mention that astronomy has been my hobby since I was 12 years old. I still have my original telescope, a Dynamax 8-inch Schmidt-Cassegrain. I still use it for outreach activities, such as with Girl Scouts events. 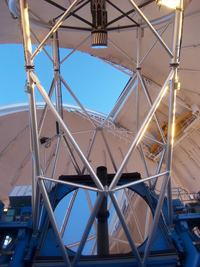 Nowadays I work with telescopes that have mirrors larger than 8 inches. The Gemini South telescope has a fantastic 8 meter wide mirror. 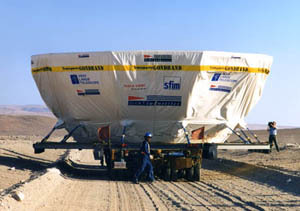 For scale, here is a shot I took in 1999 of the 8-meter mirror that was to be installed in one of the domes of the Very Large Telescope in Chile.